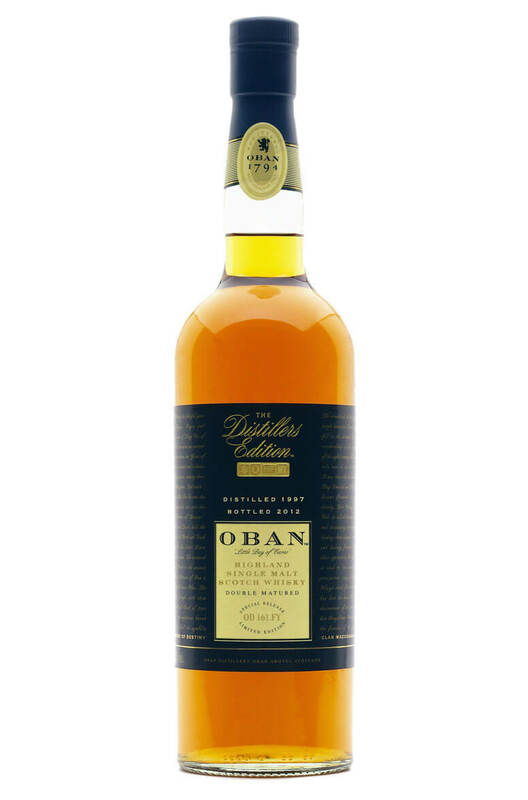 The Distillers Edition of Oban has been transferred into or 'finished' in a Montilla Fino casks. Montilla Fino is a sherry-like, dry fortified wine that is matured near the coast of Spain. The coastal/briney character of the wine perfectly enhances the coastal character usually found in Oban single malt whilst adding some breadth and compleity. The effect is quite sublte but it is worth trying is you want your Oban with a bit more oomph. Types of Barrel used for Aging Initially aged in refill Amercian oak then finished for two years in dry Montilla Fino barrels. The 14 year old expression is the core bottling from Oban distillery and was an original member of D..